The loveable utility vehicle Maruti Ertiga has not only added volumes to the sales but has also helped Maruti climb to the second largest utility car maker’s position. Recently, the car manufacturer has driven past Toyota in terms of utility car sales and is now targeting to grab the first position as soon as the Maruti XA Alpha launch happens. However, Maruti still is struggling to maintain steady supply of Ertiga but despite of the efforts, the car is still on a waiting period of six to seven months, said sources. Despite of the waiting period, the demand for Ertiga is still high and sensing this Maruti must be preparing to boost production of this car. In order to accede to the second position in the UV market, Maruti has driven past Toyota Innova sales and it means that now it qualifies to have a major stronghold over this segment. But it is sure that climbing to the first position will be a miracle for Maruti as Mahindra is already a car maker that exclusively makes utility cars with the exception only one car Mahindra Verito and the upcoming Mahindra Reva NXR aka Mahindra E20. It is believed that Maruti Ertiga is getting huge response from the utility car buyers in India following its engine configuration and more than expected space. Though it is smaller in size and power than the Innova, still it is able to beat this large MPV out of the town. 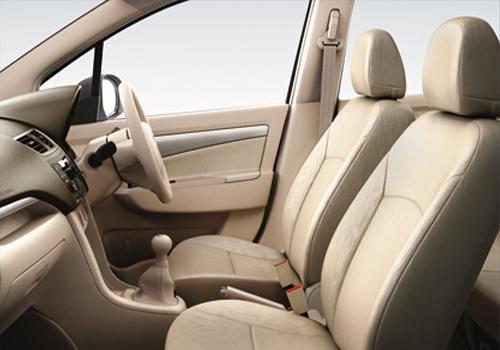 Another major factor that is contributing to the popularity of this car is the Maruti brand. Also this is the first true MUV by Maruti and prior to this there was Maruti Versa that was smaller and was replaced by Maruti Eeco. Meanwhile, the entry of Nissan Evalia and the upcoming Chevrolet Enjoy could play a spoilsport and shatter Maruti’s dream of becoming the largest utility car maker as well. This is right, I have gone to book the Ertiga diesel and found that it is in long waiting period like Swift diesel. It is expected that after some time the Indian compact MPV segment will be dominated by Maruti Ertiga.